Don’t believe this man; he is a liar. So it’s December 22, 2012 and the world hasn’t come to an end. What a freaking rip-off. For years now the hype has been building. There was going to be volcanoes. There was going to earthquakes. 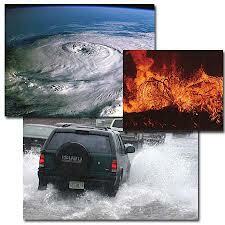 The Earth was going to flip over on its axis and cause huge tsunamis and global flooding. John Cusack was going to heroically drag his dysfunctional family through one impossible scenario after another, defying the laws and science and pushing the Willing Suspension of Disbelief to its limits. 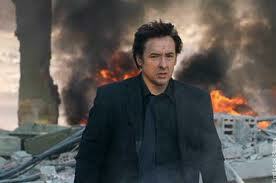 I’m disappointed in you John Cusack. I’m going to burn my copy of Say Anything. 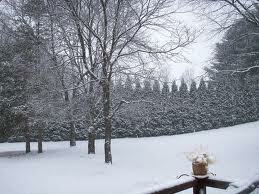 All we got yesterday where I live, was an inch of lake effect snow. We were supposed to get six to ten inches. What an absolute freaking rip-off. This post would be longer, but now that the world’s not coming to an end, I’ve got a pile of Christmas shopping to do. If you can’t count on impending doom, what can you count on? We were supposed to get this. What we got was this; pleasant isn’t it? Freaking rip-off. I too like Joan. Perhaps it’s her speech impediment. It’s endearing. She tugs my heart strings like a Special Olympics kid. John gets a pass from me because he insists that everyone who casts him also cast Joan. The Mayans, however, are overrated. No wonder they’re dead. And Joan is the one with the Oscar. I wonder if the Mayans predicted it. I bet they did, but they probably got the year wrong. Now I have to pay my taxes. Bummer. You don’t have to pay your taxes, just ask Wesley Snipes. No. Your cold won’t keep me from the relatives Christmas day. Don’t buy any John Cusack movies. I trust Joan, she seems honest. With a face like that, what else can she be? That’s going to get you a lump of coal in your stocking. Dang it. You’re right. Sigh.